Flintlocks & Fireballs – Page 8 – Muskets! Spells! Beards! This British 5E D&D podcast has it all! Follow the adventures of four mad voice actors and three would-be privateers across the shores of Calcinea, a Napoleonic world full of dungeons, dragons, flintlocks and fireballs! Every Tuesday at 7pm GMT. Rated 15+. In which the party attempt identity theft, champagne socialism and elementary pet care. Join Dungeon Master Sam Burns and the Flintlocks crew in a classic dungeon crawl to seek the remains of Jimothias the 93rd! In the wake of a shocking revelation, one of the party unburdens themselves of the weight of the past. 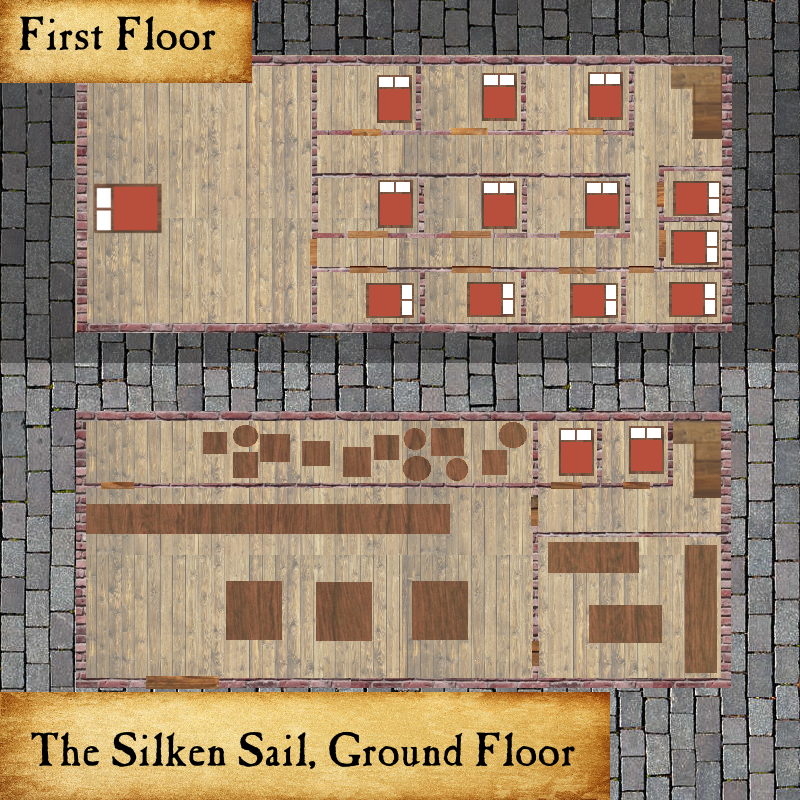 Bonus Content: Come to the Silken Sail! Come to the Silken Sail! It’s the best whorehouse in town! Posted on October 27, 2018 October 26, 2018 Categories Bonus Content, MusicLeave a comment on Bonus Content: Come to the Silken Sail! In which careful detective work uncovers more than the party might have wished for, down where the light does not touch. There’s a Secret Map this episode. If you want to avoid spoilers, don’t open it until things start to go wrong. A song about the industrialisation of the textiles industry. More fun than it sounds! In which the party engages a deadly nest and a troubling entity, and a dark force comes bearing light.